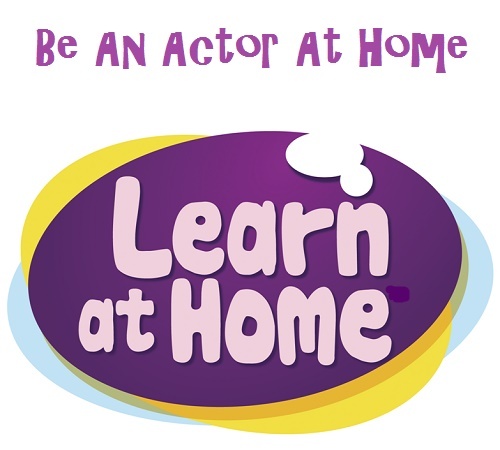 """ keywords'/> "" " 9 Simple Steps On How To Learn Acting At Home | Best Actor Academy-The Monster Of Free Acting Tips ""
2. To learn to act is simply to forget yourself, your style, gestures speech, behavior, attitude. Make yourself absolutely a "blank, a clean slate, an empty glass". Then only you can portray a new life, a character who is not "you". Leave your ego at the door. 3. To learn to act is to be accepted by others as an actor. Go to auditions. Fail. Go to more. To learn to act is to rehearse a part. Memorize jokes, mimic friends, and actors, a story or share-o-shaiyree, perform it at parties. 4. Set a time table to go out to public places and Observe! This is something you can do no matter what level you are on. Take an interest in observing your friends' actions, recording them in a notebook, and analyzing them as characters. There are real-life, living, breathing characters walking around you every day; use them! Observe the way an angry customer deals with a waiter or in a shop. What do you think lies underneath that? Observe the way your friend talks about someone who she is in love with. Have you heard her speak this way before? Do you pick up any patterns? Being able to analyze is a hugely important part of acting. You have to know what to communicate before you can actually communicate. Observe people say at a park or at a railway suburban/metro station, imagine scenes with stories and practice as one of the characters. 5. Play at home that observed character and it's movements, gestures voice etc with imaginary dialogs. 7. To learn to act is to allow yourself to be directed by others. Join a theater group. 8. Join work as a trainee in direction or production department in a reputed production houses, watch and practice with other actors. I consider this book to be the “bible” for aspiring actors. If you are just beginning your acting career, this is a great place to start! It covers everything you need to know to get the part. Meisner gives it to you straight on how to live truthfully in the moment under imaginary circumstances. Your library is not complete without this one. Simple and straightforward, Uta Hagen’s profound book has helped generations of actors hone their craft. She introduces series of exercises to help the actor connect to the moment, fellow actors, and the audience. “Who am I?” “What do I want?” and “What is my relationship?” are three of the nine questions explored to define your character’s role specifically. Hagen also includes invaluable advice about stage nerves and how to stay fresh in a long run. This book takes the actor through Stanislavsky’s self-developed "system" which helps the actor to master his craft as well as stimulate creativity and imagination. Now referred to as "method acting," "An Actor Prepares" includes a variety of exercises and some autobiographical experiences that focus on relaxation, concentration, and techniques that will help get the actor into character. Emotional memory and the “magic if” explored in his book laid the groundwork for much of the great acting today. Considered the mother of improvisation, Viola Spolin developed a series of acting exercises and theater games to free the actor’s creativity. To learn to act is to act.